In-memory Databases - the Future is Now! The rapidly declining costs of DRAM have made in-memory databases a practical option for many applications that need to handle “firehose” data sources and support realtime analytics. In 2008, a team of researchers from MIT and Brown formed a project to examine the feasibility of a relational database prototype based exclusively on an in-memory architecture. Led by Michael Stonebraker and including other noteworthy scientists like Stan Zdonik and Sam Madden, the “H-Store” team trashed many of the prevailing RDBMS design notions. Their research led them on a fascinating journey through transaction management, multi-core and shared nothing scaling, HA, durability, etc. Although the H-Store project tells the in-memory story through the lens of relational databases, many of the concepts and strategies are applicable to high performance data management problems generally. 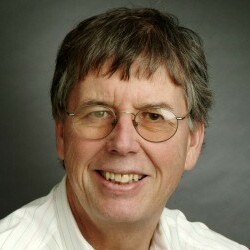 In his keynote talk, Dr. Stonebraker will discuss the architecture of high performance main memory DBMSs, indicating the pros and cons of various choices.